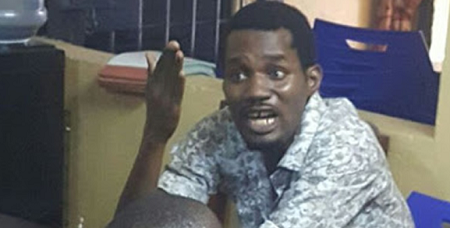 The Federal High Court in Lagos has ordered the arrest of a police officer, Bello Abubakar, listed as the first prosecution witness in the case of a Nigerian film maker, Olajide Kazeem, better known as Seun Egbegbe, who was charged with serial frauds involving N39, 098,100, $90,000 and £12,550. The trial judge in the case, Justice Oluremi Oguntoyinbo, said on Thursday that Abubakar must be produced before her on October 11 to continue his testimony. The judge had earlier issued a bench warrant against Abubakar, ordering that he must be in court on Thursday. The police officer, however, failed to appear, to the judge’s displeasure. The police prosecutor, Innocent Anyigor, told the judge that Abubakar had gone out of jurisdiction, adding that all his efforts to bring him to court on Thursday failed. Justice Oguntoyinbo berated the police prosecutor for the poor handling of the case, which had been filed before her since February. She said the witness must be brought before her on October 11. She directed the fifth defendant to get a counsel before the next adjourned date. The police had first arraigned Egbegbe alongside one Oyekan Ayomide in February; the charges were subsequently amended on two occasions leading to their arraignment on 40 counts on April 3. The police alleged that they defrauded the BDC operators mostly by falsely representing to the victims that they had foreign currencies to sell to or buy from the BDC operators. Those arraigned alongside Egbegbe and Ayomide were Lawal Kareem, Olalekan Yusuf and Muyideen Shoyombo.